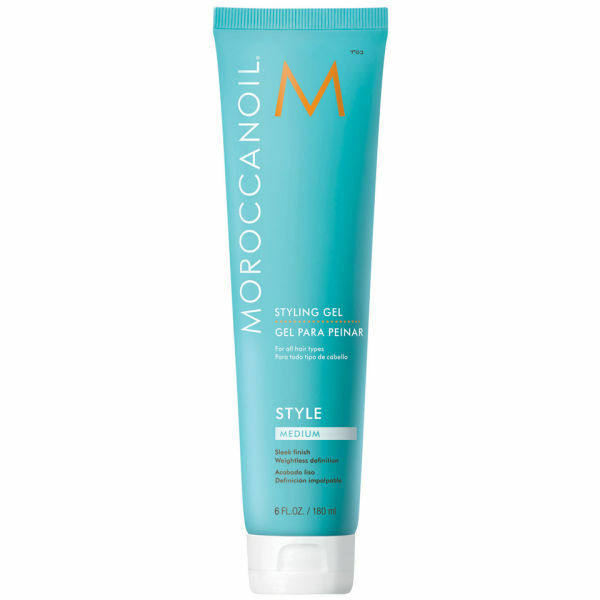 Designed to give hair a lasting medium hold whilst nourishing and hydrating, the Moroccanoil Styling Gel is infused with argan oil to create a sleek and structured look. Working to add weightless definition, this gel is suitable for use on short, medium or long hair. When used on short hair it gives stunning texture and definition and when used on damp medium to long hair it creates a full bodied blow out. A must have addition to your hair care regime, it'll leave you with lasting style. Directions of use: Apply desired amount to towel-dried or dry hair and style as usual. Use a 10p sized amount to create a sleek ponytail, or scrunch through short hair for a textured effect. Styling Tip: Before a blow-dry, apply a 10p sized amount of gel to towel-dried hair, applying from root to tip. Blow-dry with a round brush for soft, full body and lasting hold. 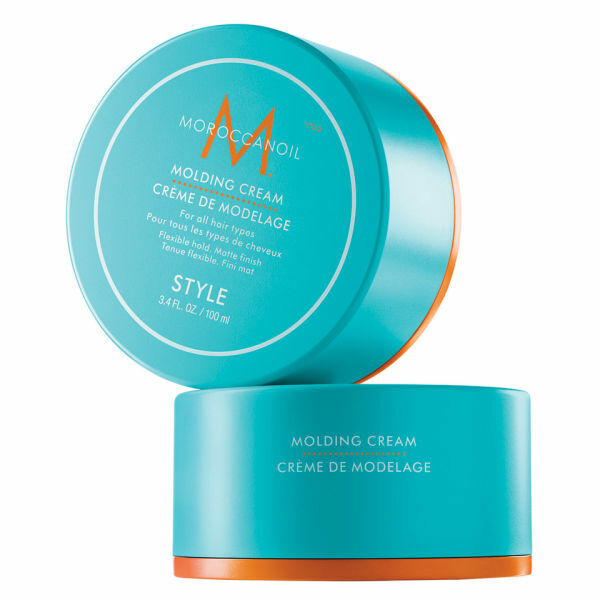 Designed to give your hair natural looking texture, the Moroccanoil Molding Cream is an innovative emollient cream, rich in fiber and argan oil for deeply moisturising effect. Giving a flexible to medium hold and a stunning matte finish, this cream is a must have. It emphasises layers for increased volume and body, whilst the diverse formula can be left in the hair to create gentle structure and definition. Directions of use: Short Cuts: Can be used on damp or dry hair. Scoop cream into hands and rub together to warm product. Work hair into desired look by molding with your fingertips. Long Layers: Distribute cream throughout dry hair avoiding the roots for an undone tousled look or to accent layers. For added dimension and separation, apply product to fingertips and pull out end pieces.